Dr. Shaw joined Pacific Northwest National Laboratory (PNNL) in 1990. His areas of specialty include the structure and energetics of the atmospheric boundary layer, turbulence, and atmospheric measurements. 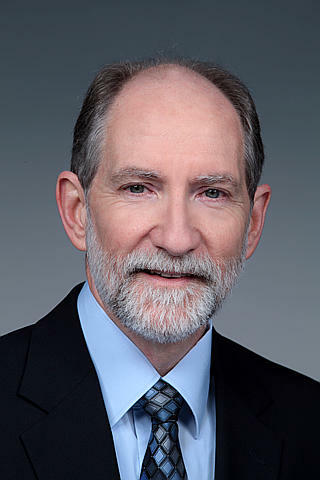 His professional experience includes leading research teams in multi-institutional and international field measurement programs and managing numerous projects for the U.S. Department of Energy, the Department of Homeland Security, and the Department of Defense. Since coming to PNNL, he has led or been significantly involved in studies of effects of surface heterogeneity on boundary layer structure, of mesoscale atmospheric flows induced or modulated by complex terrain, of the simulation of dust emission by wind erosion, and of the capabilities of a variety of atmospheric instruments--including a mass spectrometer and wind profiling radar--for measuring atmospheric turbulence. He has organized workshops in renewable energy for DOE, including serving as a co-organizer of the 2008 DOE Workshop on Research Needs for Wind Resource Characterization. In FY2011 he completed a one-year assignment at DOE headquarters in the Office of Energy Efficiency and Renewable Energy providing technical and programmatic support to DOE's Wind and Water Power Program. He currently serves on the Executive Management Committee of DOE's Atmosphere to Electrons (A2E) Initiative with responsibility for the atmospheric sciences component of that program. In addition, he has taught graduate-level courses in meteorology and in atmospheric measurements at the Tri-cities branch of Washington State University. Flaherty J.E., J.M. Wilczak, C.W. King, W.J. Shaw, A.B. White, and T. Ayers. 2016. DOE's 449 MHz Wind Profiling Radars on the U.S. West Coast: Annual Report for Fiscal Year 2016. PNNL-25925. Richland, WA: Pacific Northwest National Laboratory. Shaw W.J., and M.H. Sturges. 2016. Department of Energy WindSentinel Loan Program Description. PNNL-26071. Richland, WA: Pacific Northwest National Laboratory. Flaherty J.E., W.J. Shaw, V.R. Morris, J.M. Wilczak, A.B. White, T. Ayers, and J. Jordan, et al. 2015. Installation and Initial Operation of DOE's 449-MHz Wind Profiling Radars on the U.S. West Coast. PNNL-24866. Richland, WA: Pacific Northwest National Laboratory. Shaw W.J., F.C. Rutz, J.P. Rishel, and E.G. Chapman. 2015. DUSTRAN 2.0 User’s Guide: A GIS-Based Atmospheric Dust Dispersion Modeling System. PNNL-24049. Richland, WA: Pacific Northwest National Laboratory. Shaw W.J., J.K. Lundquist, and S. Schreck. 2009. "Research Needs for Wind Resource Characterization." Bulletin of the American Meteorological Society 90, no. 4:535-538. PNNL-SA-60836. Glantz C.S., K.W. Burk, C.M. Berkowitz, S.J. Ghan, B. Schmid, A.C. Janetos, and W.J. Shaw, et al. 2008. "Pacific Northwest National Laboratory (PNNL)/Hanford Site." In The Federal Plan for Meteorological Services and Supporting Research Fiscal Year 2008, edited by F Estis and K Barnett. 198-199. Silver Spring, Maryland:Office of the Federal Coordinator for Meteorology, US Department of Commerce. PNNL-SA-59532. Allwine K.J., F.C. Rutz, W.J. Shaw, J.P. Rishel, B.G. Fritz, E.G. Chapman, and B.L. Hoopes, et al. 2006. DUSTRAN 1.0 User’s Guide: A GIS-Based Atmospheric Dust Dispersion Modeling System. PNNL-16055. Richland, WA: Pacific Northwest National Laboratory. Berkowitz C.M., J.C. Doran, W.J. Shaw, S.R. Springston, and C.W. Spicer. 2006. "Trace-Gas Mixing in Isolated Urban Boundary Layers: Results from the 2001 Phoenix Sunrise Experiment." Atmospheric Environment 40, no. 1:50-57. PNNL-SA-45339. Doran J.C., J.C. Barnard, and W.J. Shaw. 2006. "Modification of Summertime Arctic Cloud Characteristics Between a Coastal and Inland Site." Journal of Climate 19, no. 13:3207-3219. PNNL-SA-43608. Hoitink D.J., K.W. Burk, J.V. Ramsdell, and W.J. Shaw. 2005. Hanford Site Climatological Summary 2004 with Historical Data. PNNL-15160. Richland, WA: Pacific Northwest National Laboratory. Shaw W.J., J.C. Doran, and R.L. Coulter. 2005. "Boundary-Layer Evolution over Phoenix, Arizona, and the Premature Mixing of Pollutants in the Early Morning." Atmospheric Environment 39, no. 4:773-786. PNNL-SA-40637. Banta R.M., L.S. Darby, J.D. Fast, J.O. Pinto, C.D. Whiteman, W.J. Shaw, and B.W. Orr. 2004. "Nocturnal Low-Level Jet in a Mountain Basin Complex. I. Evolution and Effects on Local Flows." Journal of Applied Meteorology 43, no. 10:1348-1365. PNNL-SA-41276. Doran J.C., and W.J. Shaw. 2004. "Cloud-Surface Interaction on the North Slope of Alaska." In 16th Symposium on Boundary Layers and Turbulence, August 9-13, 2004, Portland, Maine. Boston, Massachusetts:American Meteorological Society. PNNL-SA-42413. Doran J.C., C.M. Berkowitz, R.L. Coulter, W.J. Shaw, and C.W. Spicer. 2003. "The 2001 Phoenix Sunrise Experiment: Vertical Mixing and Chemistry During the Morning Transition in Phoenix." Atmospheric Environment 37, no. 17:2365-2378. PNNL-SA-37440. Barnard J.C., and W.J. Shaw. 2002. "Direct Numerical Simulation of Evolving Turbulence Using Surface Heat Fluxes derived from VTMX Measurements." In 10th Conference on Mountain Meteorology, 122-125. Boston, Massachusetts:American Meteorological Society. PNNL-SA-36241. Fast J.D., and W.J. Shaw. 2002. "Observed and Simulated Turbulence Kinetic Energy and Dissipation Profiles in an Urban Valley During VTMX 2000." In 15th Symposium on Boundary Layers and Turbulence, 638-641. Boston, Massachusetts:American Meteorological Society. PNNL-SA-37698. Shaw W.J., and J.C. Doran. 2001. "Observations of Systematic Boundary Layer Divergence Patterns and their Relationship to Land Use and Topography." Journal of Climate 14, no. 8:1753-1764. PNNL-SA-32626. Shaw W.J., J.M. Hubbe, A.J. Drake, and J.C. Doran. 2001. "Observations of Surface Heat Fluxes During the Spring Melt on the North Slope of Alaska." In Sixth Conference on Polar Meteorology and Oceanography, 14-18 May 2001, San Diego, California, edited by Jennifer A Francis, 200-203. Boston, Massachusetts:American Meteorological Society. PNNL-SA-34706. Whiteman C.D., S. Zhong, W.J. Shaw, J.M. Hubbe, X. Bian, and J. Mittelstadt. 2001. "Cold Pools in the Columbia Basin." Weather and Forecasting 16, no. 8:432-447. PNNL-SA-33106. Zhong S., C.D. Whiteman, X. Bian, W.J. Shaw, and J.M. Hubbe. 2001. "Meteorological Processes Affecting the Evolution of a Wintertime Cold Air Pool in the Columbia Basin." Monthly Weather Review 129, no. 10:2600-2613. PNNL-SA-34349. Fast J.D., J.C. Doran, W.J. Shaw, R.L. Coulter, and T.J. Martin. 2000. "The Evolution of the Boundary Layer and Its Effect on Air Chemistry in the Phoenix Area." Journal of Geophysical Research. D. (Atmospheres) 105, no. D18:22,833-22,848. PNNL-SA-33093. Whiteman C.D., J.M. Hubbe, and W.J. Shaw. 2000. "Evaluation of an Inexpensive Temperature Data Logger for Meteorological Applications." Journal of Atmospheric and Oceanic Technology 17, no. 1:77-81. PNNL-SA-31285. Edgerton S.A., X. Bian, J.C. Doran, J.D. Fast, J.M. Hubbe, E.L. Malone, and W.J. Shaw, et al. 1999. "Particulate Air Pollution in Mexico City: A Collaborative Research Project." Journal of the Air and Waste Management Association 49. PNNL-SA-30880. Doran J.C., X. Bian, S.A. Edgerton, J.D. Fast, J.M. Hubbe, W.J. Shaw, and C.D. Whiteman. 1998. "The IMADA-AVER Boundary-Layer Experiment in the Mexico City Area." Bulletin of the American Meteorological Society 79, no. 11:2497-2508. PNNL-SA-29760.